We all know them. The supervisor who constantly berates their people. The team leader who creates division within the group instead of harmony. The manager who condescends to talk to the individuals in their group, but never listens to their input. These are . They sap the energy of the individuals in their groups. They are belittling, petty, and loud. They consider themselves better than everyone else, and they don't care who knows it. All they care about is "getting the job done." Or maybe it's "straightening this place out." In their drive to achieve their goal they ignore or overlook the other people in the organization. And in the end, it hurts them too. It is important to you, as a manager or executive, to be able to recognize these toxic bosses. They can significantly decrease production and increase cost. They can make a large company an unpleasant place to work, and they can kill a small company. Often all you have to do is walk around. Out of your office, may seek you out to point out their toxic boss. If this doesn't happen, it may be due to the fear that the toxic boss generates in the organization. Then you have to get the information in other ways. Talk with clients, or even former clients, of your company. Listen to the side comments they make as they answer your direct questions about something else. Ask them about the managerial strengths of the organization and be sensitive to what or who they leave out. Look into overhead costs. One of the biggest costs of a toxic boss is on personnel issues. Often these costs are collected into overhead accounts rather than charged to operating units. Even if your company's is within norms for its industry, look into the numbers. Does one group have more people quitting (or retiring) than the others? Have there been instances where several individuals from the same unit have left the company in a short period? Does one department have higher overtime costs than the others? Have the employees in a particular section been using up all their vacation and more of their sick days than the average? An individual who is a toxic boss didn't get to where they are without being good at something. If they weren't good at some particular facet of the business, they would have been let go long ago. You need to assess the value of this individual to the company and weigh it against their cost to the company. 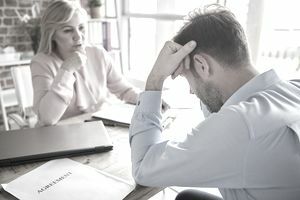 If the toxic boss has increased production by ten percent over the past year, the stakeholders may not care if the turnover rate in that department is higher than average. However, if you document that the cost of goods sold has increased by five percent during the same period, because of increased training costs, payments to employment agencies, sick leave costs and increased overtime, you will get their attention. with respect to a toxic boss will depend on the circumstances. You can recommend coaching or advanced training for the toxic boss. Maybe the individual should be transferred to a position with less responsibility for people. Perhaps the goals set for the individual are unreachable, which has caused their toxic boss management style and should be adjusted. Be sure to document and quantify the measurements that you use to determine that a toxic boss is hurting the company. Use overhead expenses as well as direct costs to demonstrate true bottom line impacts. Finally, use the same measurements to quantify the benefit to the company when your actions resolve the toxic boss problem.